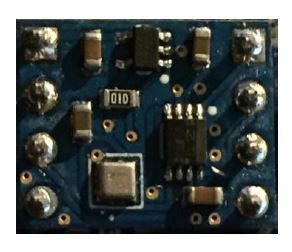 notWired.co has introduced their newest break out board, NW-ENV-ICP10100, barometric (altimeter) pressure sensor. Based on the TDK InvenSense ICP-10100 pressure sensor, this family of sensors are based on MEMS capacitive technology which provides ultra-low noise at the lowest power, enabling industry leading elative accuracy, sensor throughput, and temperature stability. The pressure sensor can measure pressure differences with an accuracy of ±1 Pa, an accuracy enabling altitude measurement differentials as small as 8.5 cm, less than the height of a single stair step.